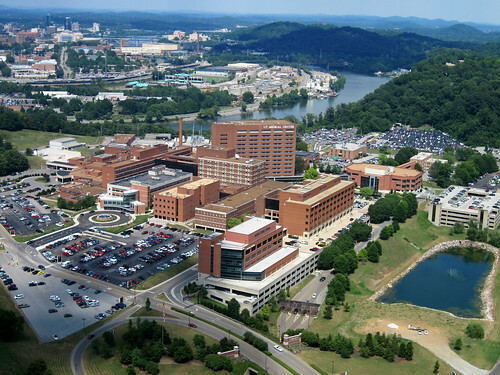 In the four-week Neurology Clerkship in Knoxville, students will have inpatient as well as outpatient and ER experience. 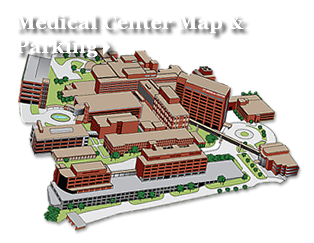 The four week block will be divided into two weeks each of inpatient/consultation service at UT Medical Center, and outpatient clinics at Knoxville Neurology Clinic and Cole Neuroscience Center. Students will accompany their inpatient/on-call attending for daily morning rounds and for new patients as assigned by the attending. Students will be responsible to follow at least two patients during the inpatient rotation (such that upon discharge of their patient(s), they will pick up new patients to follow). Each student will present the progress and work up of these patients in the rounds with attending. Students will give written notes for two H&P and 2 SOAP notes to the attending for review and feedback. Students will attend four half-days of neurology clinics per week during their 2-week outpatient rotation. Students will work with different attendings and will get the opportunity to see patients in the general neurology clinics as well as subspecialty clinics including: epilepsy, movement disorders, dementia, multiple sclerosis and MDA-ALS clinics. The students will present at least two new patients to their attending in the outpatient clinic. Teaching sessions will be held in the afternoons to correspond with the neurology clerkship teaching rounds at UT HSC (8 half day sessions during the 4 week rotation). Students will participate in these sessions via videoconference. Materials and resources for independent study will be the same as recommended by UTHSC (Preston Medical Library is an excellent resource for students in Knoxville). Students will be guided by their attendings for any pertinent reading material. Students will meet with the clerkship director or associate clerkship director on the 2nd Friday of the rotation for ongoing evaluation and feedback. Each student will be observed by an attending for ability to perform directed neurological history, perform an appropriate neurological exam, discuss the abnormal neurologic findings in the context of lesion(s) location, and provide a short list of diagnostic possibilities, and will receive feedback on his/her performance. Students are responsible for maintaining/completing log for patient encounters. The goals and objectives will correspond to those for the Neurology Clerkship at UTHSC Memphis. Details can be found in Course Documents on Blackboard). Students will be on call one day per week during their two week inpatient rotation until 10:00pm. "You get a lot of one on one time with attendings. Easy to get letters of recommendation for fourth year since attendings know you. Staff get to know you personally and help you out a lot. Free meals when on call."